With WordPress making up a good one-third of the internet, you have to expect there to be a slew of blogs and websites devoted to the CMS. And there are. You will find blogs written from every perspective, targeting every niche, and marketing toward every demographic you can imagine. That’s a lot of content, and it can be hard to hit all the high points. To help you out a bit, we’ve put together a list (in no particular order) of what we think are the best WordPress blogs that you don’t want to miss. One of the most consistent and high-quality publications around, Smashing Magazine works as kind of the gold standard for WordPress blogs. Or technology blogs. Or really, blogs in general. Long-form content that dives deep into each subject they tackle is a mainstay, and even when they have sponsored posts, the content is held to the same standards as their day-to-day work and covers useful topics that just happen to pertain to the sponsor’s niche. Whether you’re a WordPress designer, developer, user, or some combination of all of those, you need to read Smashing Magazine. Stat. You know who understands WordPress? Managed WordPress hosts. That’s just what Pagely is. But their blog isn’t self-promotion at all — it’s a valued resource covering business skills for professionals using WP to make their livings, designers, and more. Their marketing articles touch on topics that many of the best WordPress blogs don’t, so they hit on pressure points you may not even know you need to be pressed. Even their posts on managed WP hosting aren’t tied specifically to them and can be applied to multiple other hosts. All in all, Pagely’s blog is worth a read. CodeinWP is, as they put it, a hub for WordPressers. Anyone involved in the pressing of words in any way can find something here. The art of blogging? Check. Business acumen and monetization? Yep. Even productivity tips that can make your WordPressing more…well…productive. They also offer neat downloadables every so often (productivity planners and so on), so they really try to be helpful for their readers. They aren’t just in it for the clicks. While the title absolutely can mean cats in the general folks or people way, this site was named after actual kitties. That’s a major point in its favor. That said, they also provide fantastic resources to WPers, and not only in the WordPress sphere. They cover ideas in general web development, too, as well as design trends. All of the topics, generally, can be applied to WordPress. I don’t think a week goes by that I don’t click into a CatsWhoCode article at least once. Not only are they one of the most trusted security plugins in the WordPress world, they also have one of the best WordPress blogs out there, too. When something blows up (not literally of course, but then again you never know with hackers) regarding WordPress, Sucuri will have a blog about it. You should check in occasionally to make sure you’re up to date on the latest threats (and their fixes) to your workspace and livelihood. Take everything I said above, but replace Sucuri with Wordfence. (That’s a joke.) You can never be too careful when it comes to website security, and having two go-to publications to stay informed is better than having one. Designed to be accessible, WPLift has a little bit of everything for the WordPress user. If you need to know about plugins, they probably have a write-up. If you want to see about certain themes, again, it’s probably there. They cover security and general tips and even put together guides so that you can be the best WordPresser around. Some of the most lifehack-style WP uses I know came from something I saw on WPLift at one point or another. Not exactly a blog, ManageWP.org (remember, it’s the .org extension, not .net or .com) is an aggregator of the best WordPress articles that have been published recently. Community submitted and voted on, the best articles tend to make their way to the top across all sorts of different categories. ManageWP is a great way to find some of the best WordPress blogs that you’ve never heard of. They may not be the millions-of-hits-per-day blogs all the time, but if you see it here, it’s generally going to have amazing information. 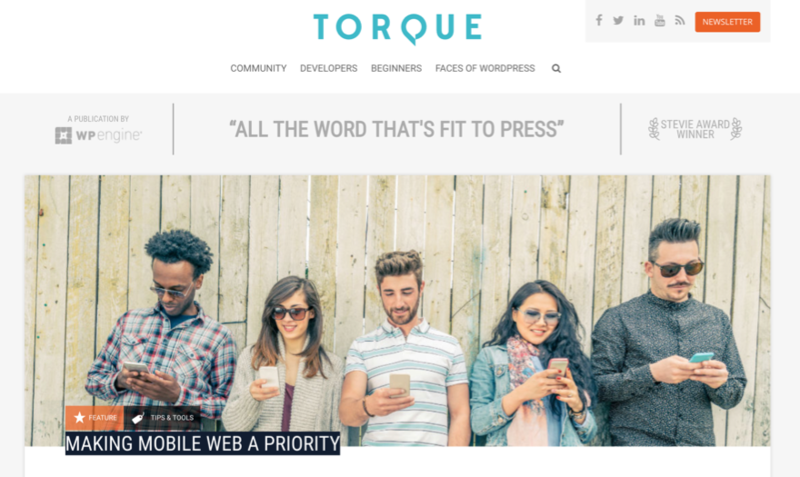 Published by the top-end managed host, WP Engine, Torque pretty much lives up to its slogan: all the word that’s fit to press. If it’s worth talking about, you can bet that Torque has either written about it — or will in the near future. Daily posts from some of the WordPress communities top names make this one a guaranteed bookmark in your browser. Or entry in Feedly or whatever you use. Free WordPress news. 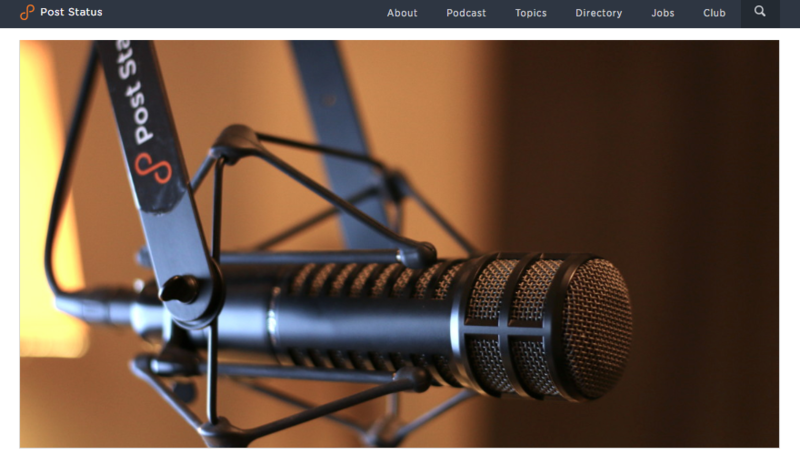 Free podcasts and free commentary. WP Tavern is one of the top news sources for WordPress because they are fast and accurate with what they report. In general, their community is strong and opinionated, and there can be some fantastic discussions in the comments sections. If you want to keep your finger on the beating pulse of our industry, WP Tavern is where to go. If you’ve noticed a trend of managed WordPress hosts having great blogs, it’s because they generally do. Not only is it a great way to give back to their community, but it also helps attract people to their products. 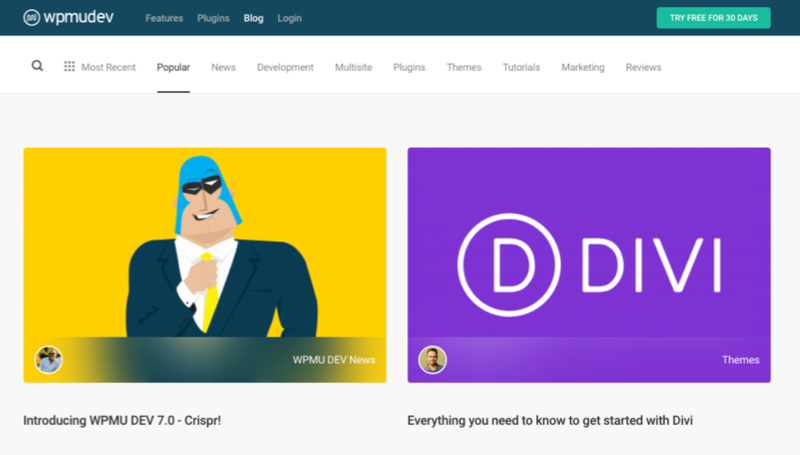 Flywheel is managed WP hosting aimed at designers, so their blog, The Layout, targets that same demo. Many of their articles are design best practices, tips to enhance the look and function of your WordPress site, and so on. But they also publish general WordPress tips, too, and a lot are on the technical side but broken down so that non-techies and right-brained people can make heads or tails of them. 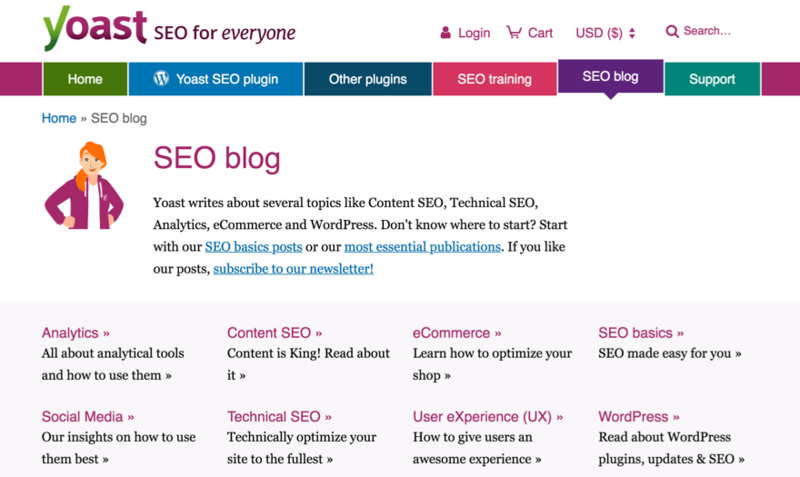 Yoast is arguably the King of the kingdom of WordPress SEO. If Google (or other search engines) does it, Yoast is on top of it, too. And their blog then explains it all to you in understandable language with videos and tutorials and infographics. With various series being published at different times, you might see an advice column one day, a use case the next, and then an explanation of why Yoast works the way it does the day after that. There’s a running joke on my weekly livestream that I can’t go a week without talking about Yoast and their blog, and there’s a good reason for that. It’s just too good not to share. So here’s me talking about Yoast’s blog again, sharing it with you, too. If you sell things using WordPress, you likely use WooCommerce. If that’s the case, then you should subscribe to the WooCommerce official blog. Not only will you get development updates and know what’s coming so you can prepare your store, they also publish lots of best practices and business tips that have been tested and tend to work really well with the software. Pretty much the place for WordPress how-tos these days. If you want to know how to do it in a simple, easy-to-understand, step-by-step way, WPBeginner probably has an article on it. Depending on the problem, their recommended solution may be a plugin to get the job done, while others may be a dive into your PHP files. Either way, when you have an issue, WPBeginner is a great place to see if there’s a solution. And if you can’t find it there…well, you may have just broken the internet. If you can’t trust a blog that has a mascot with a monocle, who can you trust? WP Mayor is one of the best WordPress blogs because it has a little bit of everything for WordPress users. From beginners to advanced users, the team here has something for you. You may find out about a new plugin that makes your life easier or get a tip that increases your ecommerce revenue three-fold. Additionally, they keep a list of WordPress job boards for you, so if you’re looking for a side gig or even a full-time career, you should consider tossing your vote to WP Mayor. You may know WPMUDEV for their great set of premium WP plugins, but did you know they also publish one of the best WordPress blogs, too? Problem-solving is kind of their thing, and if it can happen to WordPress, they probably have a solution for it. And not just a hackey, good-enough solution. But a down-in-the-trenches, in-depth, you’re-never-going-to-worry-about-this-again kind of solution. Their writers will walk you through the steps you need for whatever the task is, and when you’re finished, you can’t not have learned something. 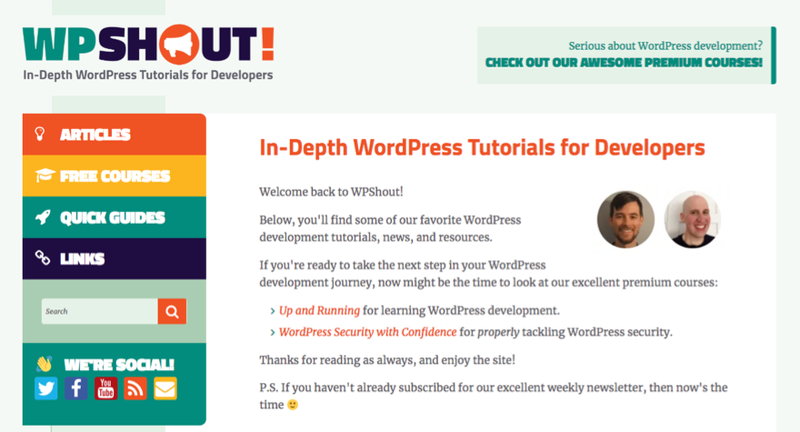 While there are a ton of blogs out there focusing on the everyman WordPresser, WPShout is one of the best WordPress blogs aimed at developers. As you can see in the screenshot, they have quick guides for different topics, free courses you can run through, and they are always posting up new articles with goodies that will keep you clicking. Some of the best posts on WPShout are small commentary blogs that provoke thought and enable discussion, then link out to the article that brought up the idea in the first place. This is a great place to discover so much new stuff that you just have to check it out. In 2003, Matt Mullenweg created WordPress. This is his blog. Another managed WordPress host putting out amazing content, Kinsta publishes one of the best WordPress blogs. It contains tips on PHP, back-end development, front-end development and design, plugin awareness, marketing, and even ecommerce. Some of the most intriguing content they do, though, is called Kinsta Kingpin, a series of interviews with WordPress professionals like you. While their normal content is superb, there’s something about these interviews that always makes me excited when I see another one posted. I think you’ll feel the same way. Not so much a typical blog as a podcast with really good show notes, Post Status is one of those sites that grabs you and won’t let you go. Run by WP pro Brian Krogsgard, PS has become so much more than just a show or a site. Brian has put together a great community with PS, and he has been publishing and working in WordPress long enough that he has insight into the CMS that many of us only dream of having. He also covers topics that other sites tend to back away from, such as WordPress and Blockchain. Definitely worth a look (and a listen, too). I hesitated to include this one because it is definitely not the typical WordPress blog. But when I was thinking about the best WordPress blogs around, I realized that I check Make WordPress just as often as I do any others out there. You see, make.wordpress.org is the blog where you see what’s going on with WordPress as it happens. You get Gutenberg updates (in their What’s New in Gutenberg? series), team meeting minutes so you can see what was talked about during the latest design team or community building meeting, and that sort of thing. It’s not really a how-to kind of blog, but if you have even a passing interest in the goings-on behind the curtain, Make WordPress Core is going to impress you. How could we have a list of the best WordPress blogs without including the Elegant Themes blog? We may be a bit biased here, but we do our best to put out the best tutorials and resources we can for the WordPress community at large. If you have any questions or topics you’re curious about, we very likely have something about it in our archives. And if we don’t, we’re always open to taking requests in the comments. With nearly two dozen of the best WordPress blogs at the forefront of your mind right now, your RSS reader should be full, your browser’s tabs should be tiny and jam-packed together, and your thinking cap should be waiting in the wings. Hopefully, whatever your niche is within the wide world of WordPress, at least a few of these blogs and sites should make their way into your regular rotation. Enjoy! What are some of the best WordPress blogs that you read regularly? B.J. is a content creator for Elegant Themes from Florence, AL. He is a runner, podcaster, geek, gamer and all-around geek. He livestreams "The Weekly WP Roundup" on the Elegant Themes Facebook and YouTube channel every Friday at 3pm EST, and he hosts the Geek to Geek Podcast for funsies in his free time. How couldn’t you miss your blog? Your blog is also a best blog. And I bookmarked your blog. Great research. Get involving in MakeWordPress is so useful for developers. How about one or two lifestyles, beauty, fashion or shopping blog. Just getting started with WordPress. Have joined for a year to see how it goes. Will check out all of the Blogs you listed. A great resource! How can you put elegant themes at the very bottom? It’s my go to source for everything wordpress and divi! GREAT BLOG! But I feel WPBeginner and Elegant Themes Blog should be on the top 3. Kinsta blog is also doing great. However, thanks for sharing the list. Loved it. I really like the collection of yours. Personally, I like the Wordfence most. Great List of Sites! Will definitely check them out! This looks helpful for sprucing up my wordpress sight for sure. Will check them all out! Elegant Themes, Wpbeginner and Yoast Seo ..These three my always favourite blogs. These three my always favourite blogs. This post is a jewel! Thank you for sharing top WordPress Blogs. Great article on wp blogs. I have got some nice blog websites from your article which are going to be really helpful. I really like the WPTavern one. I think they’re all nice, but that one stands out to me the most. I think it would be great to have another Customer Showcase contest! Great idea! Good list, some of the blogs are not getting updated regularly but have good content. Thanks for sharing a list of top blog sites! I’ve used many of these blogs you’ve listed here especially Elegant Themes Blog, WP Squared and If you find more blogs please keep it post. I personally like TutsPlus, SitePoint and WPMUDev. I have been writing for sitepoint for a long time now they have a dedicated WordPress channel. Thanks for sharing! Some of blogs listed above were not in our daily reading list but now we have bookmarked them too. Thanks once again. kevin, it was really helpful. some of them i already read regularly though. thanks for others. Some of these blog were in mine regular reading list too. This should be the best collection of blogging website i ever found out. Great post Kevin. Most of the site are pretty useful but WP Mayor and Smashing Magazine are my favorite. Most of the posts there are very well written and so useful. Hey Kevin, that is a great list up there for starters like me. Thanks for sharing! WOW, Kevin Muldoon awesome list. I really enjoyed and my most favorite blog WPMU DEV Blog. Thanks for sharing this kind information with us. A good list! I will bookmark a few of these. Quite new to wordpress so this is very helpful. in fact, I get bored with regular word press themes. I want to include some more features.Want to extend wordpress in Django framework so heavy programmable could be implemented inside it. For me , wordpress is well designed architecture. Elegant Theme blog is my favourite blog. Thanks for provide few more blogs in this post. This is the more comprehensive list of best WP blogs I have seen. Thanks much for this. Really came in useful for me. Much appreciated. Nice List, another awesome post from Elegant Themes. WPtavern, Wpseer.com and this blog are my top sources for “No B.S” WordPress stuff. Seriously, I can’t get enough of good lists like this. Thanks for putting it together. You probably saved me about a day of work. When – when! – will WordPress get a decent out the box search? Hi. I volunteer at a community newspaper to help put their stuff online using WordPress. I actually met one of the maybe 300 people in the world who works at Automattic. What an incredible fluke. So awesome. I asked about how to become a wp developer and he recommended I google “Best WordPress Blogs” and start reading from there. Yours, is the first site that came up. I just want to thank you for taking the time to make list of resources for a beginner like me. Posts like this is what makes the WP community helpful and so great. Great list Kevin, I knew some of the blogs but I got to know many more with this post. I would also add Chris Lema to this list. how to create a blog like you…can u provide me detailed description? Thanks for these blogs and website(s). btw This blog is better. Thanks for the list. I already read a few of them on a regular basis but there are a couple I’ve not heard of before so I’ll definitely be checking them out sometime soon. WPMU DEV & Smashing Magazine are my favorite. For technical things I prefer WPMU DEV and for designing related stuff I go to Smashing Magazine. Thanks for sharing other resources with us. I’ll be checking them out. Great list! I recently ran across WP Tavern a few times and loved it. Thanks for the awesome list – saving this one! The Elegant themes blog definitely is wonderful! People can’t believe I get such excellent information from my theme company, so thank you! Two things – Kevin, I put this on one other ET author’s blog post but I wanted to say it on one of yours …. I sure wish you had a *printer friendly* version of these 30-50 page posts for those of us who want to print/save them! Also, ET folks – please add me to the list of people who get that pop-up every single time I do anything on ET. Asking me to subscribe … and I’m already a subscriber! Aside from those two things, thank you for everything. I am so glad I found Elegant Themes! WP Tavern is my all time favorite blog. Boat loads of great stuff there. As for WP Mayor, just seems to be a blog designed to make money via affiliate links. Don’t think it’s a good value. Thank you for this robust list. New to the wordpress community,this is a great help! Thanks for the mention – honored to be included in such great company! Three sites I route once I’m on my system are Elegant blog, WPMU.org and WPtavern, while others are via Google search. I personally love WPMU because of their high quality weekend tutorial to tinker WordPress a bit. How I wish iThemes has a blog looking at the array of WP ebooks they’ve created. Right now, ET top my list for obvious reasons. To Kevin; Is there any coupon to your forum membership? Great list of blog’s that share valuable information about WordPress. But also miss many other blogs. That said, I’m very grateful to ET for the wonderful theme choices. I love that the Elegant Theme Blog is in the #1 slot. I think the information on this blog is outstanding. There are so many WordPress sites out there now, there just isn’t enough time to visit all of them. Can’t believe you guys missed Chris Lema. He’s great! Well, of course I’m just slightly prejudiced, but how about WordPress Building Blocks – tips, tutorials, themes and plugins for non-technical people. http://WPBuildingBlocks.com. I loved this roundup. And you do have a fabulous blog. Nice to see you all ! Thanks for this list, Kevin. One can learn something new here everyday. I´m a regular for most of those blogs, but still didn´t know about a couple of them. Excellent list! I’ll be checking those out. 87 Studios and Search Engine Journal are my favorites; I’ve been visiting them for years. Kevin you should make a Top 20 list of sites that use Elegant themes I would love to read that. I agree with Tarrence, would love to read the top 20 list of sites that use Elegant Themes – one of my favourite sites for finding great themes. I’ve been receiving Sitepoint newsletters for years too – very helpful information. Also Hot Scripts is another awesome site. Well done everyone. +11 on that one! 🙂 Great idea, Tarrence! Great resource for finding more information! I’ll have to start following and commenting on those blogs as well. Anytime I can learn more about WordPress optimization, security, marketing, and design I grow. It’s important to keep yourself up to date with changing trends, and this is truly a great resource to do that. I love what Bob Dunn does and I’m a regular visitor to the Tavern… WordPress Tavern that is. Lots of great sites! Love that ET was the first one – how fitting! 🙂 Also love WPLift and Jedi. Great stuff!